When Facebook (NASDAQ: FB) introduced Marketplace in 2016 the goal was to provide a platform for buying and selling locally. Today the company is announcing businesses will be able to place ads in Marketplace so they can reach users while they are shopping. Facebook has been testing this feature over the past couple of months by allowing businesses to list used vehicles, home rentals, home services and jobs. For small businesses looking to advertise when users are online shopping, it is one more way to interact directly with customers to sell, get feedback, increase subscription rates and more. The goal is to extend your ads to Marketplace with other placement options across Facebook’s different platform. In addition to Marketplace, your ads can now appear in News Feed, Instagram, Messenger and Audience Network with Automatic Placements. This will let you reach your target audience and connect with users who are more likely to be interested in the products and services you offer wherever they are spending time. The service is now available in the United States and Canada. Advertisers can target user in both countries and run ads in Marketplace along with traffic, conversions and product catalog objectives. The next available region is going to be for Australia and New Zealand, which Facebook says will take place in the new few weeks. Businesses and advertisers in these countries will also have access to the same features, along with being able to use the video views and reach objectives. TechCrunch reporter Josh Constine said, “More types of objective-based campaigns will open to the classifieds section soon.” Constine ads Facebook told him the ads will be auto-optimized for clicks. This means when users click on your ads, Facebook will also show them to people of similar demographics. And if you mark your item as sold, the ad campaign will pause right away. 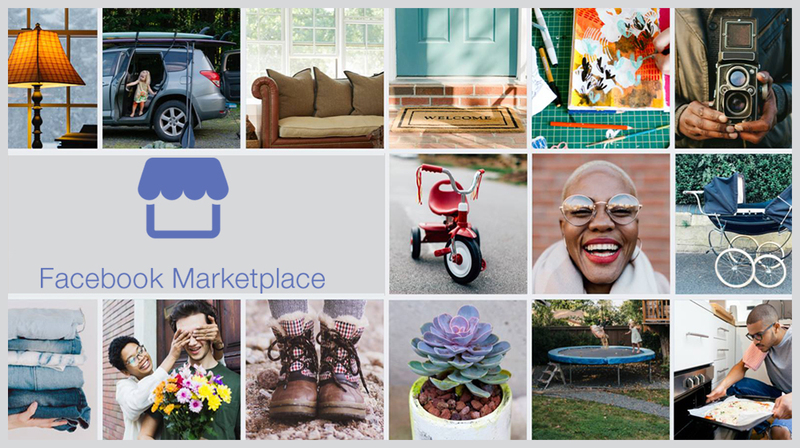 For small businesses, the new Facebook Marketplace ads will provide more access to local markets. Local users can see your ads and choose to come to your store, visit your online store or just engage with your social media channel.